The air barrier industry is no different than other construction related industries. We see the number of buildings failures across United States due to poor workmanship. Contractors now have increased liability and are responsible for the installation. You can no longer walk away when you are done. Unfortunately, many construction industries compete on an uneven playing field that makes it difficult for contractors interested in doing a professional job to compete. If you are an Air Barrier Contractor that is quality oriented and strives for perfection, it can be an uphill battle at times. What are the benefits of becoming a Licensed Air Barrier Contractor? In today’s competitive environment, any advantage a Contractor has can make the difference between success and failure. So why become an ABAA Accredited Contractor? What Do I Need to Do to Be An Accredited Contractor? All of the following requirements must also be completed before you are granted ABAA Accredited Contractor status and before you can be awarded ABAA specified jobs. What are the Costs For the ABAA QAP? There is also an Industry Development Fee (IDF) charged at $0.085 per square foot of total air barrier materials applied on all ABAA specified projects; which assists in funding the association’s day-to-day management and marketing of its Quality Assurance Program and members to the design community. To ensure our and your continued success, we need your help. First, all ABAA Accredited Contractors are required to submit a job bid notification when preparing to bid on an ABAA specified project. 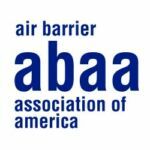 Second, all ABAA Accredited Contractors are required to notify the ABAA office about all awarded projects, even if not the successful Air Barrier Contractor. This helps the Association track projects and provide direct assistance when a project is not awarded to a non-ABAA contractor. What Happens When I Lose a Bid to a Non-ABAA Contractor? Immediately notify the ABAA office and we will contact the Architect and General Contractor. Our QAP administration staff will follow up directly to ensure the job is awarded to an ABAA Accredited Contractor. The Architect insist the contract be awarded to an ABAA Accredited Contractor, as per the project specifications and fully complied with on the project. ABAA will always work with the interested parties to ensure the ABAA Quality Assurance Program is not removed from the project master specifications.